Take time to look around to find the resource that’s right for you. All orders are payable by invoice; other payment options are not available. If you would like to pick up any of our products in person, please include details in the additional notes box during the check out process. No postage charge will be made for orders collected from us by the customer. 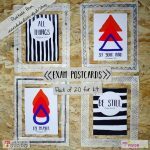 Four unique designs, each with it's own Bible verse, for you to send to your young people during the exam period. A great way to offer support and encouragement during a very stressful time, with a space on the back for you to write your own message. The heart and vision behind these postcards is to help churches to stay connected with and communicate how much our young people who are sitting exams are loved, supported and valued. Exam season is often a period of disconnection for young people so the exam postcards act as a way to send a personal message of support and encouragement to them during this time. Whether you send one or four to each young person the exam postcards are a simple resource which has the potential to make a huge impact; enabling young people to stay connected with and supported by their church family. A6 postcards. 4 designs. A choice of 3 pack sizes. £1 for a pack of 4 £2.50 for a pack of 12 £4 for a pack of 20 Why not mark the end of exams by hosting a special event or special themed youth session. Pick N Mix Exam Resource provides you with a variety of ideas for the different aspects that might make a youth group session or celebration special. Visit our Youth Resource Page. Set of 54 cards for use with the Last Supper poster. 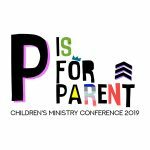 Download, for Free, all the Podcasts from the Key Note Speakers from our Children's Ministry Conference. In the download you will find: Rachel Turner: Parenting for Faith Bishop Jill Duff: The Importance of Family Ministry Dr Sam Johnson: Generation Z These are three brilliant key notes, each one challenging, thought provoking and inspiring. It is essential that RE equips pupils to recognise the common search of all humanity for ultimate truth and relationship with the divine. It is entirely appropriate and necessary in today’s world, therefore, that respect for the great world faiths is fostered in RE within a Church School. This respect must be based on an accurate and sympathetic understanding of the other faiths which is consistent with the school’s loyalty to its Christian foundation. 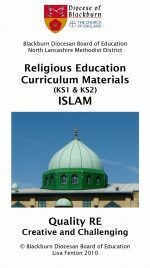 This CD has been produced to support the ‘learning about’ and ‘learning from’ Islam in Primary RE. The materials do not cover every aspect of the Muslim faith however you should be able to find all that you need to include in an exploration of Islam at Key Stages 1 and 2. Each section in the folder containing the curriculum materials begins with important background information for teachers which should be read before embarking upon any topic. This is followed by a planning sheet containing Key Questions, Vocabulary, Suggested Activity Ideas and Assessment Levels. The suggested activity ideas provide the basis for good quality RE lessons and can be used as they are. However, they are not meant to be restrictive and can be developed, changed and added to according to the interests and creativity of the teacher and children. An explanation of the planning sheet can be found in this folder of the CD. Look in the Assessment Folder to find a more detailed explanation of how to use the Assessment Materials. The curriculum sections are not Key Stage specific. Some areas may be covered at both Key Stages and therefore planning and liaison is essential. Some topics may be covered by one year group only. Quality RE enables pupils to go on a journey of discovery and exploration through questions, reflection and making personal meaning. We hope that the materials on this CD enrich the quality of RE in your school ensuring that the discoveries your children make are of lasting worth in their lives. It is essential that RE equips pupils to recognise the common search of all humanity for ultimate truth and relationship with the divine. It is entirely appropriate and necessary in today’s world, therefore, that respect for the great world faiths is fostered in RE within a Church School. This respect must be based on an accurate and sympathetic understanding of the other faiths which is consistent with the school’s loyalty to its Christian foundation. This CD has been produced to support the ‘learning about’ and ‘learning from’ Judaism in Primary RE. 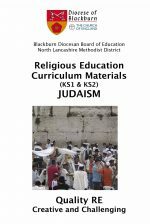 The materials do not cover every aspect of the Jewish faith however you should be able to find all that you need to include in an exploration of Judaism at Key Stages 1 and 2. Each section in the folder containing the curriculum materials begins with important background information for teachers which should be read before embarking upon any topic. This is followed by a planning sheet containing Key Questions, Vocabulary, Suggested Activity Ideas and Assessment Levels. The suggested activity ideas provide the basis for good quality RE lessons and can be used as they are. However, they are not meant to be restrictive and can be developed, changed and added to according to the interests and creativity of the teacher and children. An explanation of the planning sheet can be found in this folder of the CD. Look in the Assessment Folder to find a more detailed explanation of how to use the Assessment Materials. The curriculum sections are not Key Stage specific. Some areas may be covered at both Key Stages and therefore planning and liaison is essential. Some topics may be covered by one year group only. Quality RE enables pupils to go on a journey of discovery and exploration through questions, reflection and making personal meaning. We hope that the materials on this CD enrich the quality of RE in your school ensuring that the discoveries your children make are of lasting worth in their lives. Over 300 images covering topics such as the Church, Christian Festivals, the life of Jesus and Christianity in action. 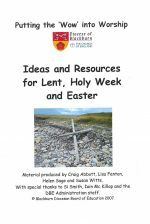 A resource to encourage you to use your imagination and enjoy adding a new dimension to your keeping of Lent and Holy Week and celebrating Easter. 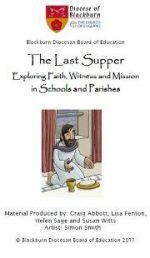 Suitable for use in schools and parishes. This is for a class set of 6 balls. Use the Multi-Faith Thumball to explore & talk about the religions of the world. 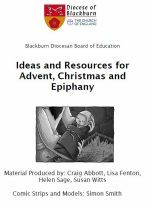 Materials suitable for use in schools with KS 1-4 and in parishes with Confirmation candidates, as a preparation for Baptism and with those seeking admission to Communion before Confirmation. 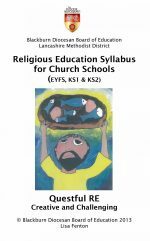 The 2013 Blackburn Diocese Syllabus for Religious Education in Church Schools. Including curriculum units for Foundation Stage, KS1 and KS2.